During their meeting Tuesday, Anderson School District One Board of Trustees heard from Palmetto High drama teacher Will Ragland, received an update on the building program and heard from reading coaches in the district about how they are encouraging reading in the elementary schools. Palmetto High Teacher Will Ragland presented information to the Board on the Palmetto Stage Company program and on his local theater company, the Mill Town Players. Ragland directs the Mustang Stage Company and the group has presented Shakesphere, receiving four All Star Awards and one act production of Scapino!, which also won awards. Scapino! was presented at the Palmetto Dramatic Association high school one act festival and individual events in the SC Thespians festival, both held at Dorman High School in Feb. They received a Superior rating, earning only .7 points shy of a perfect score from the 3 judges, Ragland said. The team was also recognized with Best Set and Costumes and Best Commedia. Junior Cameron Woodson was awarded for Excellence in Set and Costume Design, senior Jordan Owens for Excellence in Physical Comedy, and sophomore Gracie Poore for Excellence in Acting. 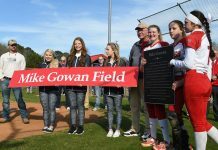 Palmetto was the only school from Anderson County to attend the event, and one of almost 30 schools from across the state. Ragland also presented information on the Mill Town Players. The local theater company is enjoying rave reviews and increasing crowd attendance with more than 23,000 people attending shows during their second season last year. The Mill Town Players shows are presented in the Historic Pelzer Auditorium which is leased from the school district. Ragland requested the Board allow him to convert the old cafeteria space at the school property into a rehearsal and multi-purpose area which could also be a smaller preforming space. Ragland said it would be a small black box youth theater for ages K-12 and would be modeled after the SC Children’s Theater in Greenville. 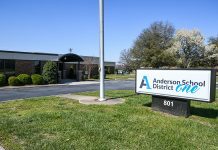 District One Finance Director Travis Thomas reported the District received two months of local option sales tax receipts in Feb.
For October and November, Anderson County took in $3,585,000. District One’s portion, at thirty percent, amounted to $1,108,000. Twenty percent of that, or $221,000 went to property tax relief and $886,00 went into the capital building fund. The building fund balance is currently at $5,058,000. The capital improvements building fund is being used for a number of projects across the District. Havird updated the Board on several projects currently underway. According to Havird, the eight room addition at Concrete should be finished by May. Workers are painting and installing ceiling grids. Grading is being done and lights are being installed for the Powdersville Tennis Courts. Asphalt should be laid in the next week or so, Havird said. At the Wren High Stadium, work continues on the locker rooms and weight room and all block work should be completed in the next few days. Lights, grading and retention pond are being finished for the Wren Tennis Courts. The Palmetto High Multi-purpose facility will be bid this summer, with construction beginning in August, according to Havird. Assistant Superintendent for Instruction Jane Harrison, along with eight reading coaches from across the district, presented information on reading programs at their elementary schools. Harrison said that the coaches are supporting teachers and impacting students through a variety of programs including summer reading courses, model lessons, lab classrooms and use other resources. 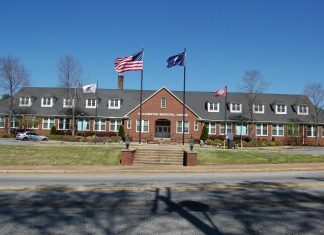 At Palmetto Elementary, programs included book stores, mobile book cards, a book classroom and Mustang Buck incentives which can be earned and used to purchase books. There is also a Real Men Read volunteer program in which male volunteers come in to read to students and share the importance of reading and writing. At Spearman, a Literary Day and Night encourages parent participation. Cedar Grove Elementary uses book carts and has older students read to younger students as part of their program. They also use IPADs, programs and books. At West Pelzer Elementary, local theater groups including the SC Children’s theater and Greenvile Theater have helped encourage reading. Students also helped produce a cover for a book. A program at Concrete includes creative and fun events such as dot day, dress up days and football Fridays in which local high school athletes come in and read to students. At Powdersville Elementary, they have March Book Madness creating a reading competition with book brackets, eventually leading to a champion book winner. The winning homeroom will have a Popsicle party. Harrison also reported online testing in District One will begin Apr. 24. Harrison also received approval from the board to proceed with renaming some courses and proceed with several proposed local board approved courses. Two of those are the Yearbook couse being renamed Digital Publications and a new film course being added at Powdersville High School which focuses on using multi-media. Havird said the reading coach program has been postitive for students and teachers in the district.